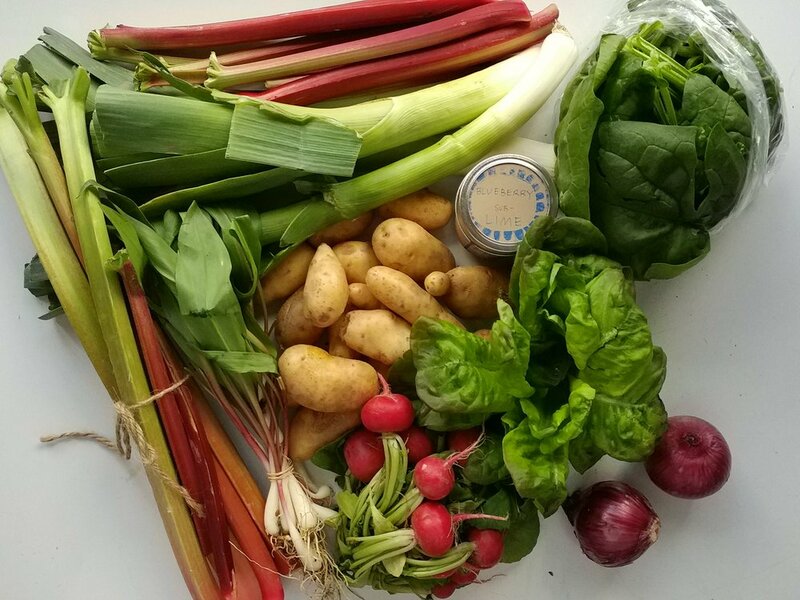 Rhubarb, ramps, radishes, lettuce, onion, potatoes, spinach, jam, and leeks. Not pictured- eggs and sourdough bread. Meal Ideas: eggs and sautéed ramps, rhubarb muffins, leek and potato soup, toast and jam, salad with onion, radishes, and hard boiled eggs, leek and spinach omelettes, and rhubarb dessert. By the way, get there early next week so you don't miss out on asparagus like me! Green garlic is also hot on the market now, as are micro greens and even a few greenhouse-grown cherry tomatoes.